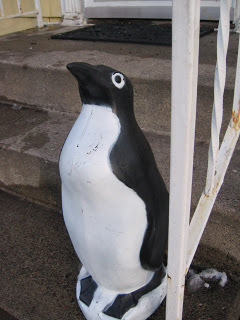 I have had him for 12 years. I am fairly certain the squirrels have taken his scarf, not once but twice. 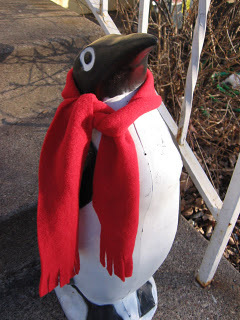 His scarf is red to match our mail box. At our old house his scarf was purple, to match the mail box. Is that wierd? January 9, 2007 by carol strand.